The global Amway business was founded in 1959 by two young American entrepreneurs with a strong sales and marketing plan, and a vision to help people live better lives. 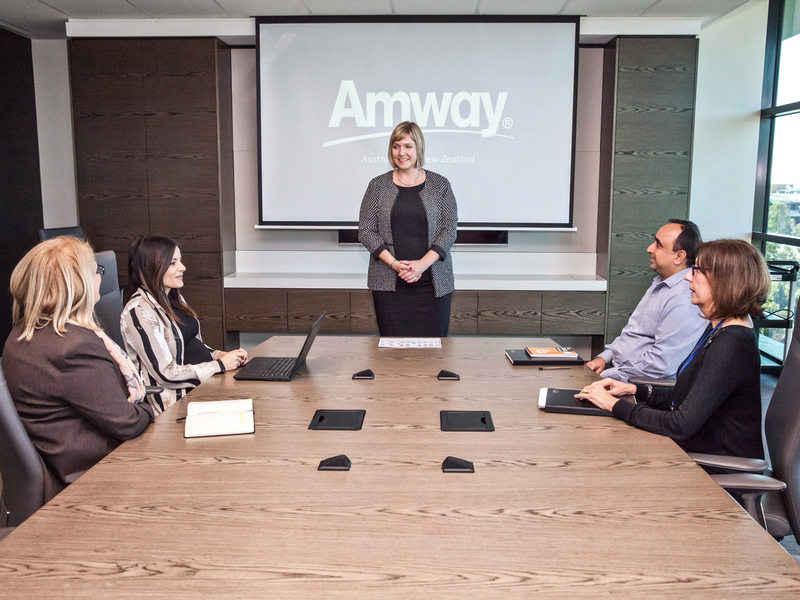 The company believes that the continued success of Amway can be attributed to its person-to-person dynamic, which was born from the strong friendship between its founders. Through Amway of Australia’s One by One Foundation, we focus on children’s charities. Over the years we have partnered with a group called TAD, which provides bikes for disabled children and more recently, we partnered with Westmead Children’s Hospital — the Grace Centre in particular — to purchase equipment they can use in the neo-natal room for premature babies, things like respirators and cots. One thing that hasn’t changed is Amway’s commitment to the quality of its range, offering a famous ‘90 day 100% Satisfaction Guarantee’ attached to its selection of health, beauty, and home products. Christine says the “no questions asked, money back guarantee” is something that sets the company apart from its competitors. Christine believes it’s Amway’s integrity that has helped to create a culture unlike any other she’s seen in her long career working in business. The well-known Amway business that was built on core values of family, freedom, hope, and reward, still prides itself on offering products of outstanding quality and its close customer relationships fostered by the company’s famous direct selling approach. Christine believes it’s Amway’s integrity that has helped to create a culture unlike any other she’s seen in her long career working in business. “Culture is huge here. It’s interesting — it’s a family culture and I’ve never actually worked in a business where it really is like a family culture. It’s not that cutthroat corporate culture that you see in some organisations. I think it all goes back to our fundamental values. Being about respect and belief in the individual, there is a real focus on the fact that employees are people — people with families,” she says. As well as nurturing the people who work for Amway, the company looks outward to make the world a better place. Since 2011, Amway of Australia has donated more than AU$900,000 to charitable programs across Australia and New Zealand.